On the 16th of May, 2017, the KHL Executive Board gathered in Moscow for a meeting at which recent and future developments were on the agenda. The League’s leadership conducted a detailed summary of the 2016-2017 season, discussed the structure of the forthcoming 2017-2018 Championship, and examined the concept of a long-term League Strategy to cover the 2017-2023 period. The gathering noted that the 2016-17 Championship showed further improvement in the financial stability of the KHL. It was the third successive season in which the tournament returned a profit, and the League plans to distribute this income among all the participating clubs. To increase commercial revenue in the long term, it was decided that the League and its member clubs should promote a new KHL Strategy for the period running to 2023. The concept was examined by the League’s management for submission to the forthcoming Board of Directors meeting scheduled for the end of May. The proposed concept consists of an integrated development model, and includes the parameters for a system which provides annual assessment of KHL clubs for principles of “financial fair play" and for general harmonization of the transfer market. The Board also considered various options for the 2017-18 KHL Championship playing schedule. A proposed format will be submitted once the Board of Directors has officially confirmed the list of participating clubs for the forthcoming season. 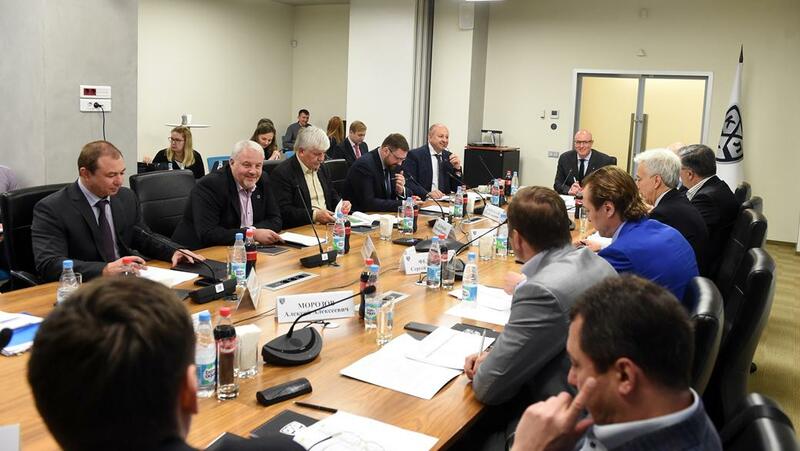 KHL President Dmitry Chernyshenko: "This meeting enabled us to consider conceptual provisions for a new strategy which our League is preparing to adopt. This document sets forth the main guidelines for the development of the KHL over the coming years, and examines the challenges and tasks that lie ahead. Chief among them is finding the correct formula for improving the sporting excellence and the financial well-being of our clubs. This is especially pertinent in light of our obligation to the government to reduce professional sport’s reliance on funding from the public purse."